Original JS Slim Capsules can change your life in just a few days, making you feel lighter, happier, and healthier. CLICK HERE TO ORDERFor A Slimmer, More Confident You, Try It & See Results Tomorrow. • Increases metabolism and calorie expenditure. 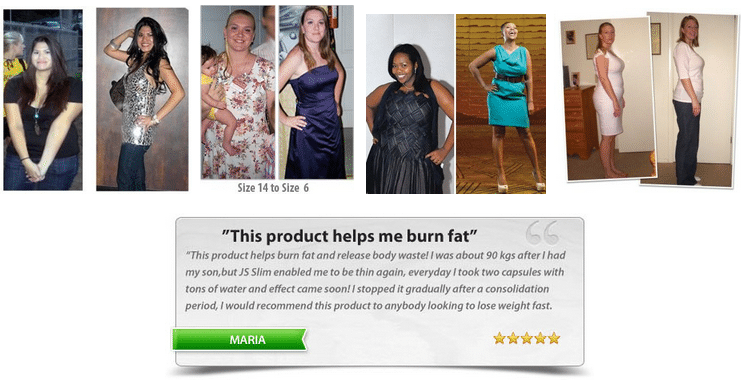 • Promotes weight loss and accelerates removal of unwanted fat stores. • Increases energy and physical performance. • Works as an appetite suppressant. • Helps with chest congestion and good expectorant for coughs. Sweet potatoes contain a high amount of special fibre. According to the American Dietetic Association, a high-fiber diet helps you lose weight. Sweet potatoes and other high-fiber foods support weight loss by curbing the appetite, reducing the temptation to overeat. Fiber keeps you feeling fuller for longer on few calories. This unique fibre used in JS Slim acts as a prebiotic food for your good bacteria in you whole gut system. The myriad of health benefits of increased good bacteria proliferation and their affect on health, wellness, digestion and absorption as well as elimination and metabolism have been extensively studied. This aspect of the formula corrects underlying GI imbalance, and healthy functioning digestive system is cornerstone to an efficient metabolism. In obese mice, it has been reported that lotus leaf extract prevented the increase in body weight, inhibited absorption of lipids and carbohydrates, accelerated lipid metabolism and up-regulated energy expenditure, suggesting beneficial effects for the suppression of obesity. Is a powerful yet gentle and non-depleteing herbal diuretic, this will clear any excess fluid build up that accompanies being overweight. This ingredient can account for some of the rapid weightloss results we hear from our clients in the first 2 weeks, as a lot of the initial weight they lose is water retention due to many factors. Hawthorn is also a diuretic, but has marked affects on the circulatory system, enhancing oxygen utilisation in the heart and promoting flow and circulation of oxygenated blood around the body. It also aids poor digestion and absorption, especially where there is a flow down of metabolism as it’s nature is warming and aromatic so will kick start proper digestion and absorption. I surmise this ingredient was also added to balance out the affect the Citrus Aurantium can have on Blood Pressure. 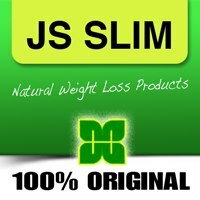 Order Your Original JS Slim Capsules Now! How does JS Slim Capsules Work? The all-natural formula can melt fat away fast because it is made the top fat burning and detoxifying ingredients. The ingredients increase your metabolism transforming your shape to slim and slender. How do I use JS Slim Capsules? Take 2 capsule approximately 10 minutes before breakfast with water. And drink plenty of water throughout the day. Reduce the intake of white flour, and sugary foods, but most importantly drink plenty of water. Original JS Slim is all herbal ingredients. There are no major side effects reported. Can i become a distributor of Original JS Slim Capsules?